Vehicle and plant solutions provider Specialist Fleet Services (SFS) has been awarded two new contracts by Cory Environmental to provide a total of 55 vehicles on a contract hire basis for Cornwall Council and the City of Lincoln. Both contracts were awarded following the success of SFS’ existing contract with Cory Environmental for Cornwall Council – a new unitary authority which brings five former districts and one borough together. SFS is providing a further 37 vehicles for use by Cory with their Cornwall Council contract following the successful completion of an initial 12-month contract and an assessment of the levels of investment required to improve service even further. The additional vehicles include nine Dennis Eagle ‘Olympus’ vehicles in a mix of specifications, 11 specialist built recycling vehicles from Exeter Coachworks, 3.5 and 7.5 tonne Isuzu cage tippers, a 32-tonne IVECO Boughton hookloader, three Johnston V651 sweepers and an additional recycling bank servicing vehicle. 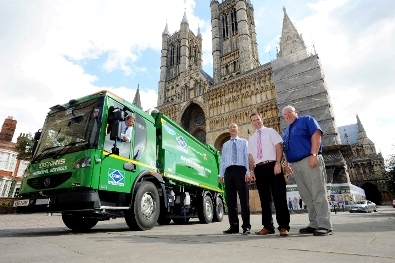 Starting in September this year, SFS will also be providing 18 vehicles for a seven-year City of Lincoln contract. SFS is to provide eight Dennis Eagle Olympus 19 vehicles with 6x2 narrow vehicles with bin lifts, and eight Peugeot vans with caged drop sides and a range of specifications.